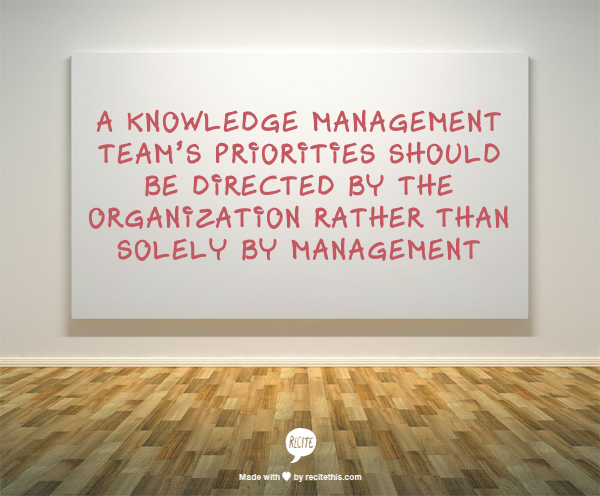 As a follow up to my previous post, Knowledge Management is Organization Directed, Not Management Directed, I talked about how a knowledge management team’s priorities should be directed by the organization rather than solely by management. In this post I wanted to expand upon that and explain the same concept in another way. 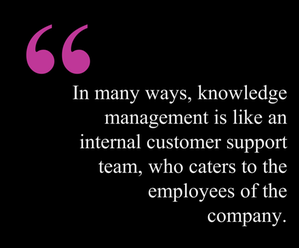 In many ways, knowledge management is like an internal customer support team, who caters to the employees of the company. Requests come in from various parts of the company, and the team’s goal should be to be as responsive as possible to the company’s needs. Even small requests should be handled with the utmost urgency, whether that be fixing the issue in real time or letting them know that their request will be included in a section redesign in a few months. Contrast this with a development team that is organized around scrum sprints or is otherwise focused on bigger projects that take a long time to do. They, by their very nature, are not responsive to immediate needs. They assess and prioritize any request and it gets put into their plans sometime between 2 weeks from now to 2 years from now. Considering the high cost of going down the wrong path, this is probably a good thing. But at the same time, it is at the expense of being responsive to internal customers. As a result, simple changes that take minutes to fix, often take months or even years to get done because it is not important enough to be included in their sprint or current project. Then compare this to a customer facing front line support team that has to handle incoming customer requests, no matter how small or how insignificant or how out of scope. Front line support does not have the luxury of planning its tasks for 2 weeks later in a sprint based on management’s priorities. No, the customer wants it done now. And good customer service dictates that it is handled now. Now, a knowledge management team falls somewhere in the middle. It should strive for being responsive to the company’s internal customers, which includes upper management, the departments and their department heads, all the way down to the front line staff member who has a great suggestion, not to mention any external customer requests as well. 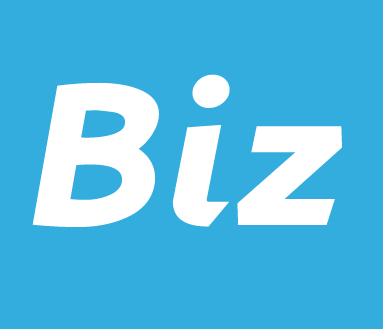 But at the same time, be able to plan and work on bigger projects like new a section in the knowledge base, or new product documentation (internal & external) that may require more focus and organization. In some ways, knowledge management has the best and worst of both worlds. On one hand, they have the luxury of choosing what gets done immediately and what gets done later, but on the other hand, has pressure from staff to make changes immediately when it may be better to postpone it and work on it with similar tasks. So any method of project management that is used must be able to accommodate the immediate responsiveness that front line support would have, while being able to make long term plans and improvements like a development team would. 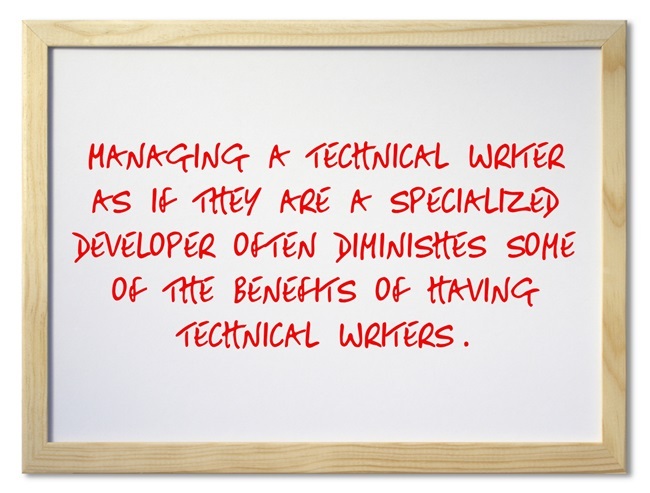 If it becomes too much like a development team or scrum team, it loses its responsiveness. If it does not plan major improvements and implement major projects, it looses its opportunity to make bigger impacts on the company. In a nutshell, a knowledge management team must be responsive and planned.